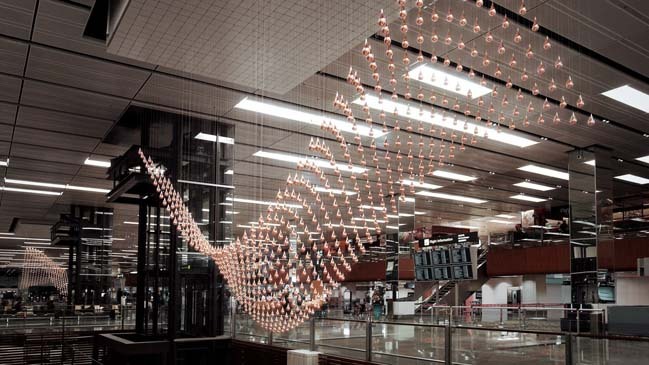 Kinetic Rain is an artwork was designed by ART + COM Studios for Terminal 1 at Singapore's Changi Airport. 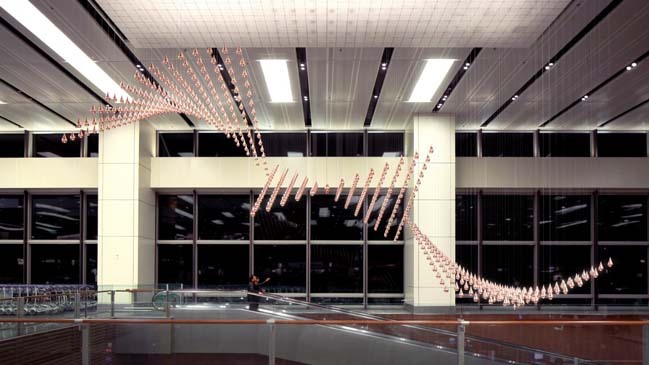 The kinetic sculpture adds a contemplative element to the lively transit space of the departure hall. 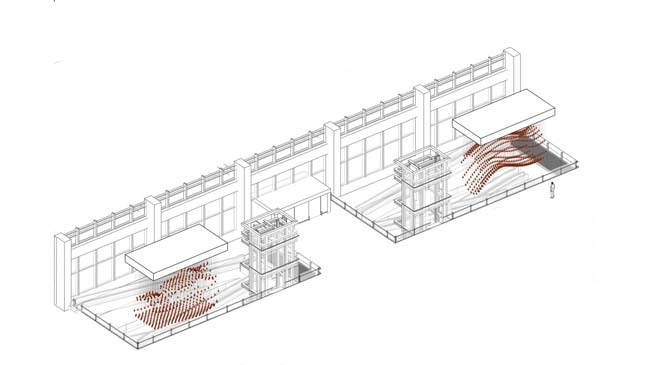 Project's description: Kinetic Rain consists of two parts installed above the terminal’s two central escalators. 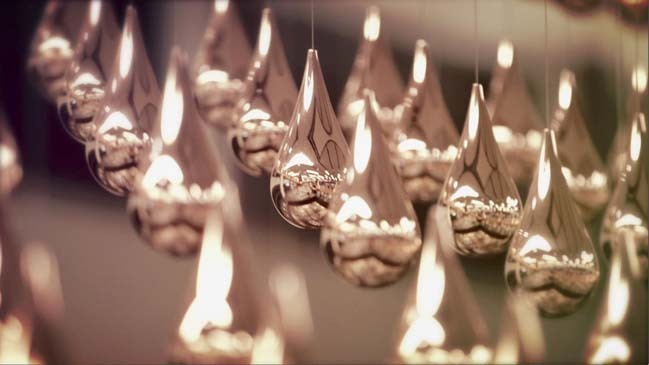 Each symmetrical element is composed of 608 copper-plated aluminium drops. 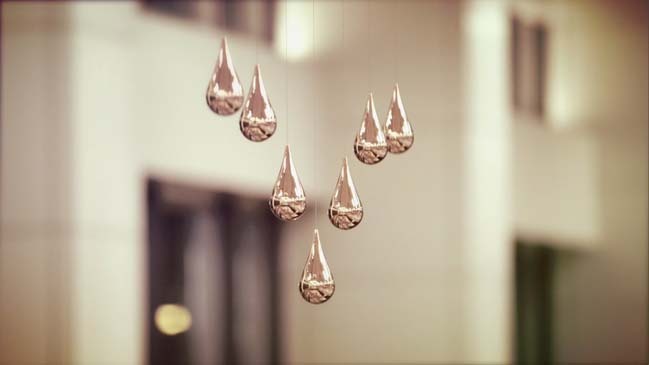 The drops are connected by steel wires to computer-controlled motors that raise and lower them with precision. 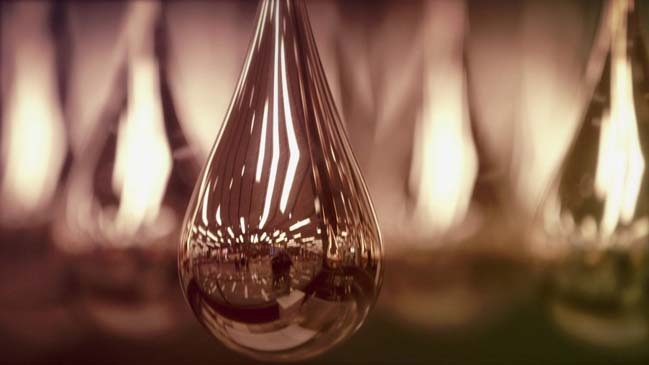 The two elements move in dialogue through a fifteen-minute animated sequence, evolving from abstract to figurative three-dimensional forms. At times the two parts move together in unison, at other times they mirror, complement or follow each other. 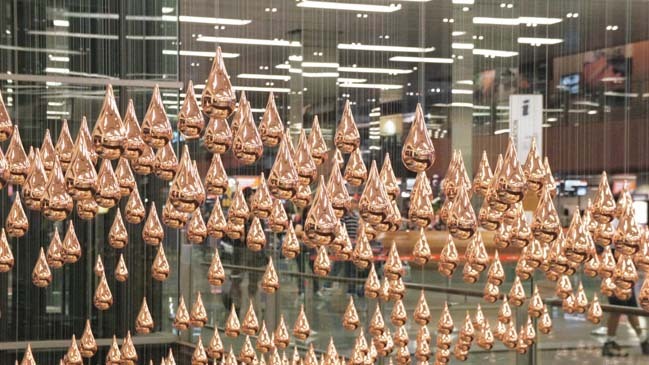 The entire installation spans a total area of more than 75 square metres and spreads over 7.3 metres in height. It can be seen from above, below and all sides. The visual experience of the complex computer-designed movement is completely different depending on perspective.